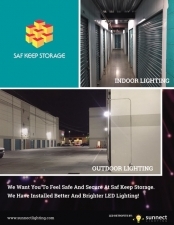 Your peace of mind is our priority at Saf Keep Storage in Los Angeles, CA! 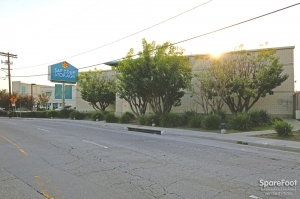 Conveniently located 3 minutes from the I-5 and the Glendale Freeways off San Fernando road, Saf Keep Storage in Los Angeles is right next door to the Super King Market. We strive to make your storage experience s easy and convenient as possible! A variety of unit sizes are available for any items you may need to store-from books to records and household appliances to furniture, we have a size for you! 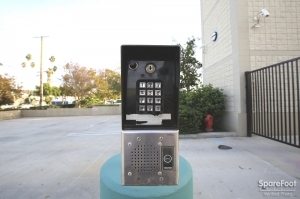 Each unit comes individually alarmed and is surveyed 24/7 for the safety of your items. Better Safe than Sorry! 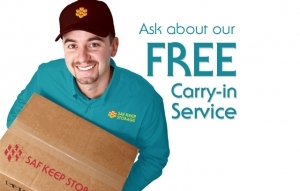 Our location also accepts deliveries and has an onsite forklift service for any heavy items you may have. We also sell boxes and any packing supplies you may need. Please contact the facility if you need a longer reservation window. We are happy to help accommodate your needs. 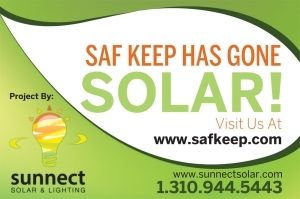 Serving the Los Angeles area including Glendale, Glassell Park, Eagle Rock, Mt. Washington, Atwater, Silverlake, Edendale, Highland Park and beyond. Very clean, secure facility. Amazing customer service! Amidst an unforeseen and hectic move, Saf Keep was incredible at explaining how the facility works and working with my very tight time window. The unit was available immediately, the pricing is very competitive for my area, and the staff went above and beyond helping me in a lot of ways. 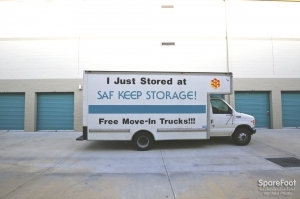 If youâre looking for a clean, secure storage facility with a pleasant, helpful staff, Saf Keep excels. They were informed and friendly. The hours of operation and clear instructions were great. Excellent the place is clean the price is good. Very clean and reasonable prices. Receptionists are very friendly and helpful. 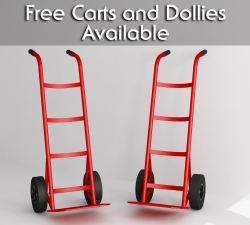 Carts and other tools are always available. Convenient location. Very closed to the freeway. After searching more than 5 locations I came back to this great spot. I say came back, because I'd seen a space at this facility before, but it was larger than what we needed and they didn't have a small space available at that time. A few days later on Sparefoot I found a small space listed at this facility. The manager Judy, was very helpful and friendly. 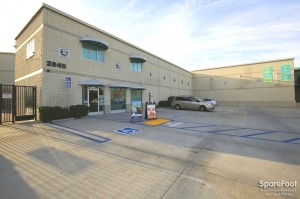 The location is easy to get to, its a clean, secure facility, and the hours you can access your space are great, 7 days a week, 7am - 8:45pm. The monthly rates are comparable to other locations but you get more benefits at this location. 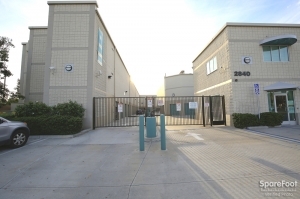 If you are looking for a secure, clean, easily accesible location you need to check out this facility. This place is pretty great- you have access to your unit from 7am to 8:45pm, and it is really easy to get in and out. They have carts available for use and and all of the units are accessible by elevator (or are on the ground floor). This place is great. I had made a reservation online prior to move in. When I got there they showed me the facilities and where my unit would be. Everything is accessible by elevator and they have dollies for your use when moving things into your unit. The sign up process was easy and cheaper than the reservation had initially indicated. Both staff members I talked to were friendly and gave me all the information I needed. Loved the assistance and friendly staff during move in! They were professional and absolutely fantastic and helpful, The facilities were clean and the staff was great. I was so glad that everything worked out so well and that I feel safe with my things at Saf Keep! Great sevice and cleanliness. Very happy. Staff is friendly and helpful. My unit is clean and I really appreciate having carts available to help when I unload. 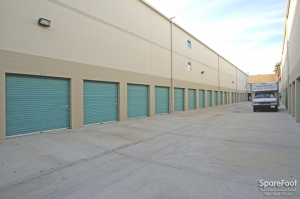 Hours for access are better than many other nearby storage facilities. It's only been 5 days, but I've been there almost every day at various time so the day and feel safe. So far so good. Great local place. Extremely helpful and resourceful. They have a consignment shop where you can sell your stuff. There are lights in the units. Something to think about. All staff was friendly and helpful. Excellent service and presentational value. Definitely a value-added enterprise to the storage industry. Organizing the reservation via spare foot.com was painless. 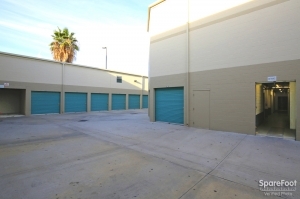 The storage unit personnel contacted me promptly and confirmed my appointment. It became necessary to discontinue the search for extra storage space. But overall the first impression was a positive one. 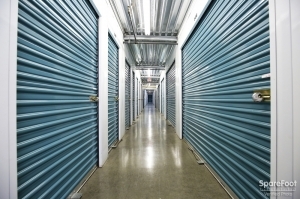 I highly recommend the storage unit property. And I'm still interested in storing with them, especially when unit rates becomes incentivized. Great friendly staff Premises were clean and secure Best value around! We mainly wanted a place that was close to home and not outrageously priced. We got both here. The front desk people are always nice and you don't have to check in every time you go to your unit as long as you have your gate code. It's conveniently right off the 2. It's pretty clean too. It doesn't sparkle like some more expensive commercially places but I haven't seen bugs or random trash laying around. They keep it presentable. The Hours are pretty good. It would be great if they stayed open past 8pm in my opinion. Also something to keep in mind is they observe holidays. There haws been two occasions that I have gone that either they closed early or were just completely closed and you can't get past the gate. It would be great to get a reminder email or text alert so people don't waste their time and can plan ahead. But that is the only issue I have run into. Lastly they do have a policy about tardiness with their hours so if you keep an employee there past closing hours you can be fined. So just know it's a hard closing hour. 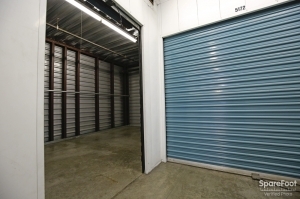 The entire process of renting a storage unit was smooth and easy. The people very helpful-good customer service. I couldn't believe how clean the whole area and my storage unit are. They new what I needed, they took care of me as if I was one of their own. I was between a rock and a hard place. 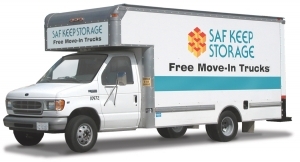 Saf keep self storage helped me when it came down size, my budget, and location. When I informed them that they had exactly what I needed they booked it for me, and I was able to come down the next day to view the space and was very pleased with everything. My space , the price, location , the security, cleanliness and customer service was a 10. I'm a satisfied customer. I thank God for Saf keep self storage. I moved from another state and I was helped to understand what size storage I should use. It was the perfect size for all my belongings. The staff helped to make the sign up process swift and easy to understand. I will be recommending this site to others. They have a live in security guard, who could ask for more? They have a move in truck that you can use, only for moving in though. Reserve in advance! Everything was easy and accessible, and the front desk personnel were extremely helpful! Great experience! When we arrived from a long, 4 day drive, my fiancÃ© and I found that our reservation (which we had made weeks in advance) did not exist in their system. I immediately opened the confirmation email, and explained to the men behind the counter that someone had also called me to confirm my storage unit reservation. The man told me that the only unit he had in the size we had reserved (15x6), he had just reserved for someone else. We felt that because we had made our reservation in the past, that he should have just given us the unit. Instead, he had a young man take us to an 8x10 which was far too small. I told the young man to tell his boss that I would gladly take two of those smaller units for the same price as the one we had reserved, but his boss said no. So then, we had to go look at a larger unit (one larger then the unit we had originally reserved). We said "we'll take it! ", but when we got down to the office again, the boss told us we had to pay more for the larger unit. We had reserved a unit for a specific price and size, and felt that because it was not our mistake, that we should not have to pay more just because the manager had reserved our unit to someone else that day. Once we explained this to him, he finally just gave us the size we had originally asked for and even gave us a bit of a discount. While he did make up for it, I did not appreciate him putting us in a situation where we had to argue our way into a solution. 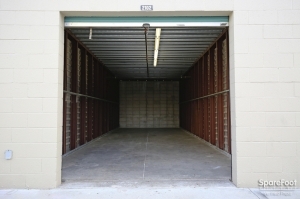 We've had nothing but a good experience with this storage facility and they are very accommodating and courteous. Very professional. 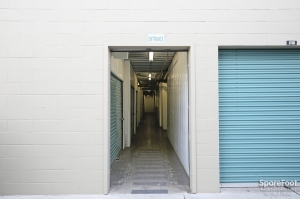 Would recommend this facility to everyone I know looking for a storage unit. Great made my life easier and service was great! 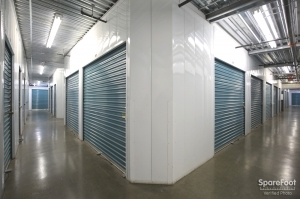 I've used several storage facilities over the years and this was the best of the best, especially considering the price! VERY friendly staff who who helpful even in unloading furniture. 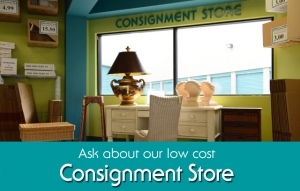 There is also a consignment store on the lot if you are looking to sell some unwanted things. Nice bathroom. Easy in and out. Great find. It was a great experience and would highly recommend the facility to others. The amenities and security and service made the decision not the price. This is clearly one of the best facilities in the area. Absolutely fantastic! 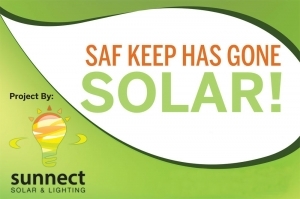 I'm thrilled that I found Saf Keep.